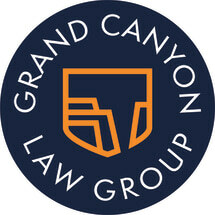 Since attorneys Ryan McPhie and Kristin McPhie founded our law firm, McPhie Law, they have worked diligently to build a reputation as a leading law firm in Arizona's Valley of the Sun. We have accomplished this with a simple philosophy: We care about our clients. We know that they are often scared, frustrated, or confused when they turn to us for help. We take the time to understand the unique needs and situation of each client, then craft a strategy to accomplish the best possible outcome, whatever that looks like for our client. Our experience allows us to give our clients a reasonable expectation of what is in the near future, with no fluff and no candy-coating. We approach our clients’ cases this way because that is the way we would want to be treated. We find that when our clients are included in the process and fully informed about the options and possible outcomes of any decision they make, they are the ones in the best position to decide how best to move forward with their case, and we are happy to pursue that action. Our two attorneys' different backgrounds have given them valuable experience that they use to our clients' benefits. Mr. McPhie is a former prosecutor, which allows him to build solid defense strategies for our clients facing criminal charges, whether misdemeanor or felony. Ms. McPhie focuses on tribal law and personal injury law, using her experience in tribal courts and as a former insurance adjuster to work for our injured and Native American clients. Regardless of the area into which your legal need falls, you can choose our law firm, McPhie Law, with confidence. Our attorneys will dedicate themselves to your case, providing the representation and support you deserve throughout the legal process. By taking advantage of our offer for a free initial consultation at our Gilbert law office, you can learn more about how we can help you.